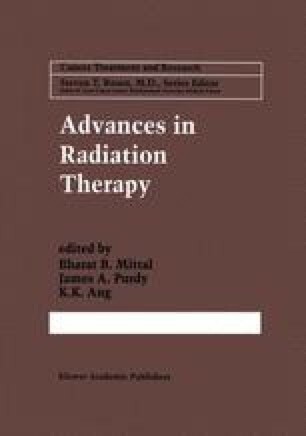 The ability of radiation therapy to cure cancer depends in part on its capacity to completely eradicate the localized disease without causing severe normal tissue injury. There is evidence that the escalation of dose targeted at the tumor would lead to an increase in local control and consequently to an improvement in survival. However, current levels of dose are limited by the tolerances of intervening normal tissues. Three-dimensional conformal radiation therapy (3D CRT) is now widely accepted as an important means of achieving higher tumor dose without concomitant increases in normal tissue doses.